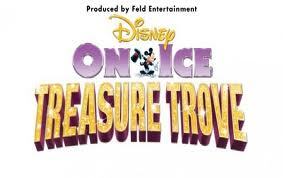 Do you and yours want to see Disney on Ice, Treasure Trove in Sacramento? Email your name and phone number to: contest@midtownmonthly.net to be entered into a drawing to win vouchers for FOUR tickets to see this popular show! Enter by 5PM on Tuesday, October 18 – we’ll pick two winners who will receive vouchers for four tickets each. We’ll notify the winners on Wednesday October 19. One entry per person, employees of Midtown Monthly are not eligible. Good Luck!